Monique Griffith Designs: Cricut Kits - Tons of New Directions! 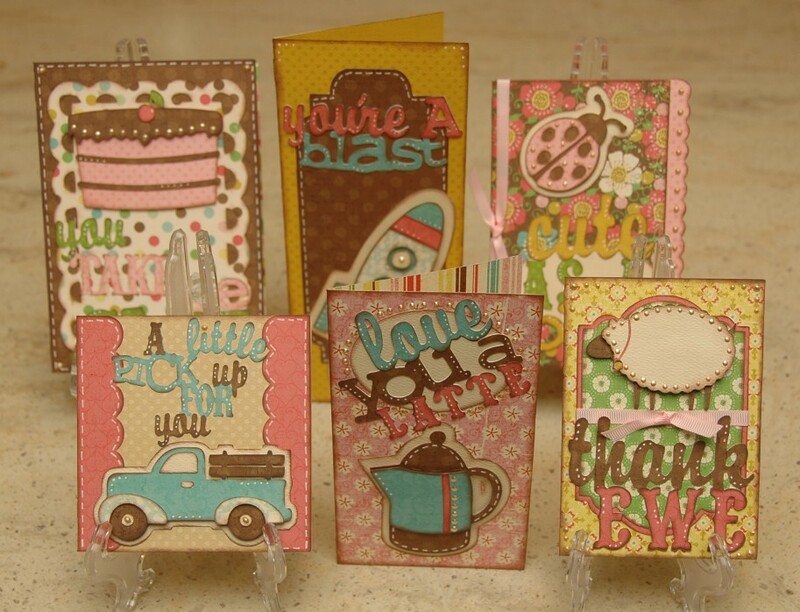 Cricut Kits - Tons of New Directions! PLEASE NOTE: To purchase directions, you'll need to use my Etsy store HERE. 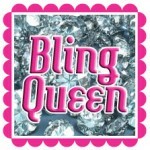 The shopping cart on my blog has been disabled, as I am much happier with how the Etsy store works. Plus you can get some better deals there! All complete kits have sold out, so I’m slashing prices on directions from $10 to only $5! That’s right – only $5 to download instantly if you act now! But wait, there’s more! No, there’s not. Most kits require Expression and some basic tools and adhesive. Note cartridge(s) and tools needed for each project. If you haven't used our kits before, see how they work here. Happy Hauntings Cartridge. 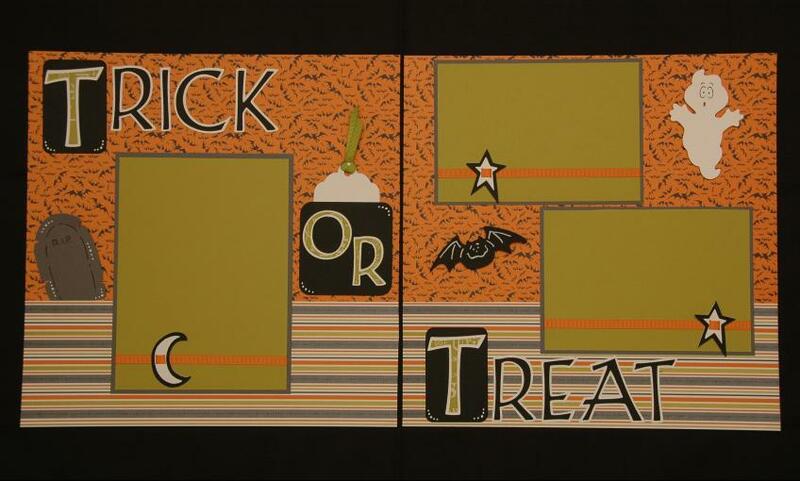 Frightful and freaky, this layout is just waiting for those spooky pics of Halloween night! 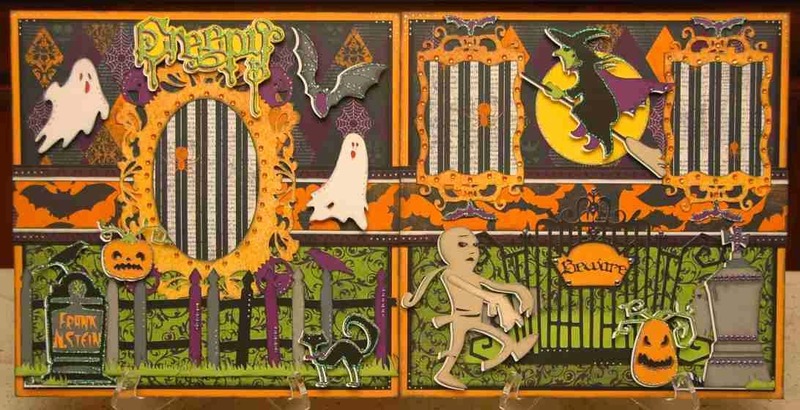 What you'll need:Cricut Expression®, Cricut Expression®, Happy Hauntings cart, black chalk ink, 3D pop dots, silver or white gel pen, black pen, Diamond Stickles, 4 silver brads, orange and purple rhinestones, plus basic tools and adhesive. 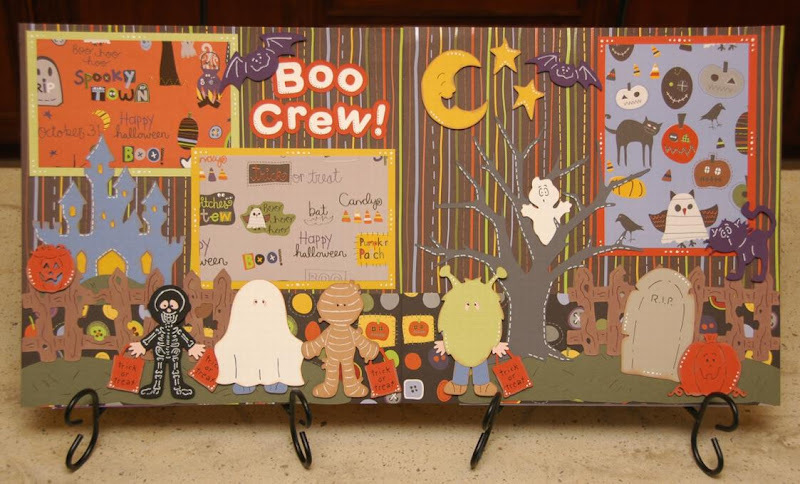 Create a Critter, Everyday Paper Dolls and Plantin Schoolbook (or any font cart). Intermediate to Advanced level project with lots of detail. This layout has so many uses! First day of school, jumping in the leaves, family portraits, outdoor fun with the fam or doggies, trip to the apple orchard, baking pies, and the list goes on! What you'll need:Cricut Expression®, Create a Critter cart, Everyday Paper Dolls cart, Plantin Schoolbook (or font cart of your choice), dark brown chalk ink, 3D pop dots, silver or white gel pen, black pen, mini glue dots, tweezers, green grosgrain ribbon (I used 3/8” wide American Crafts “Spinach” color), plus basic tools and adhesive. 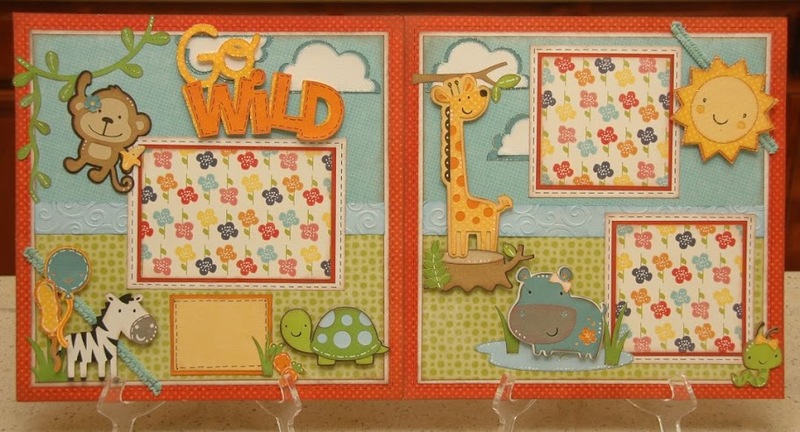 Also Cuttlebug and embossing folders (optional). 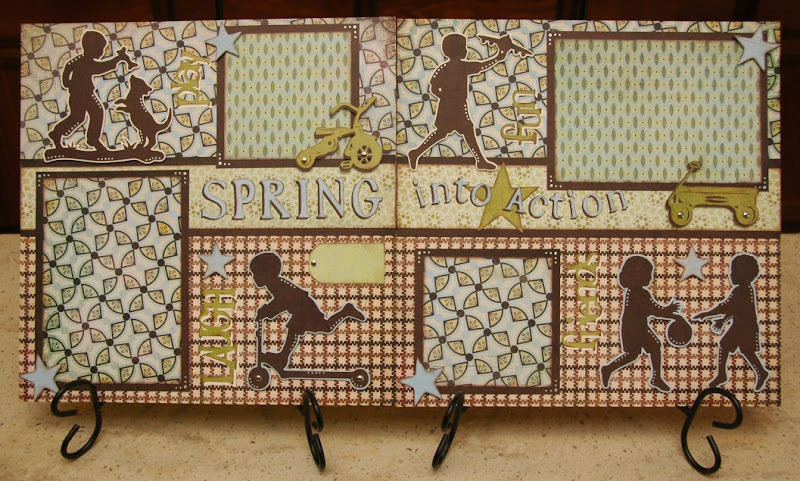 Embossing folders I used: Mini Mosaics, Tiny Bubbles and Argyle. Animal Kingdom and George (or any cart with a circle). 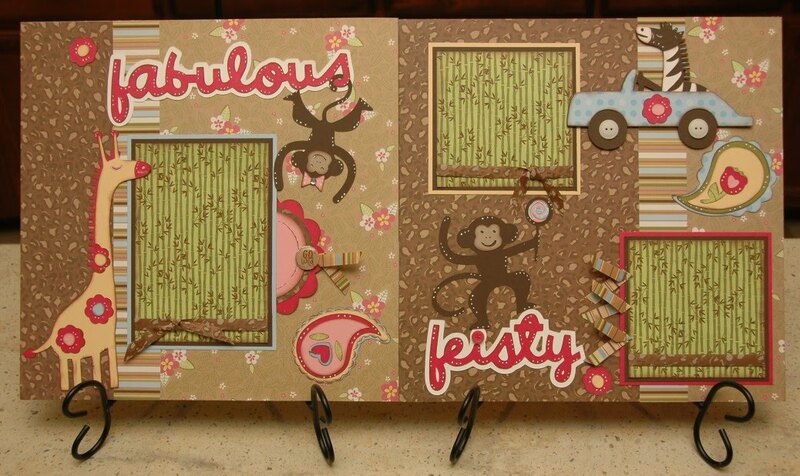 Perfect for a zoo trip, pictures of Disney's Animal Kingdom or just your favorite little ones monkeying around! 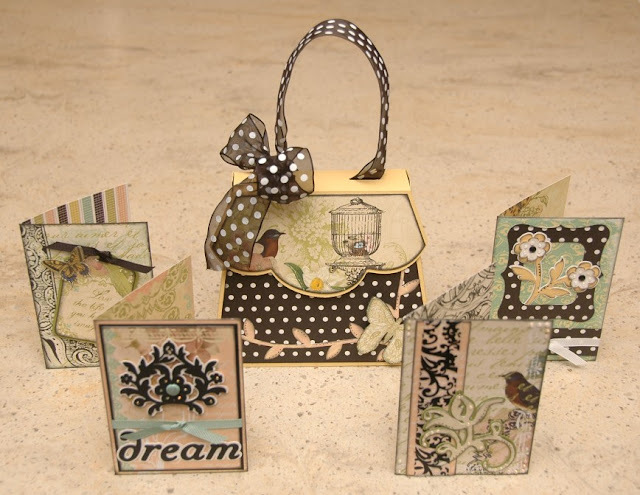 What you'll need:Cricut Expression®, Animal Kingdom cart, George cart (or any cart with a circle), dark brown chalk ink, 3D pop dots, white or silver gel pen, black pen, thin rope or twine, Cuttlebug + Forest Branches embossing folder (optional), plus basic tools and adhesive. I also used black and brown ¼” wide grosgrain ribbon. Life's a Beach and Mickey & Friends cartridges. Relax the day away with your favorite Disney pals. What you'll need:Cricut Expression®, Life’s a Beach cart, Mickey & Friends cart, dark brown chalk ink, 3D pop dots, white gel pen, black pen, piercing tool, plus basic tools and adhesive. I also used 3 medium silver brads (1/2” diameter) and some blue polka dot ribbon (3/8” wide). Mickey & Friends and Mickey Font cartridges. What could be more magical than your favorite Disney memories? What you'll need:Cricut Expression®, Mickey & Friends cart, Mickey Font cart, dark brown chalk ink, 3D pop dots, white gel pen, Scotch tape, plus basic tools and adhesive. You’ll also need ribbon (I used 1/2” width bright yellow with white polka dots grosgrain ribbon, plus some natural colored twine rope). Winter Frolic cartridge. Brrrr! It's chilly outside, but our hearts and cocoa are warm and cozy! 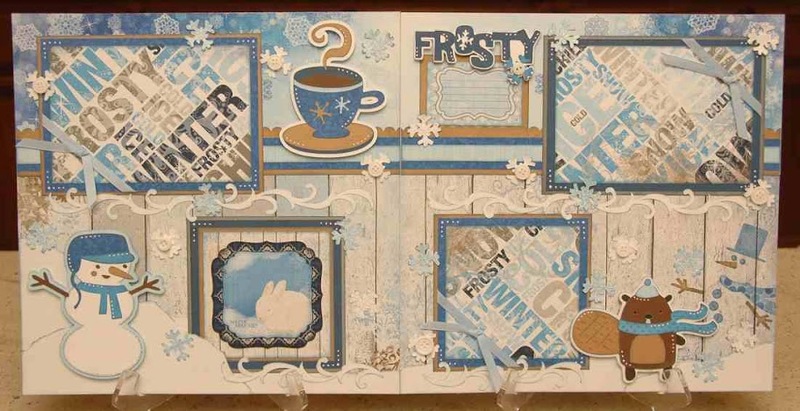 What you'll need:Cricut Expression®, Winter Frolic cart, dark blue chalk ink, 3D pop dots, white gel pen, brown pen, Diamond Stickles, scallop border punch (optional), white buttons, light blue ribbon, mini glue dots, plus basic tools and adhesive. What you'll need: Cricut Expression®, Best of Pixar cart, Kate’s ABCs cart, various chalk inks, 3D pop dots, silver gel pen, white gel pen, brown pen, small hole punch, tweezers, scotch tape, plus basic tools and adhesive. Also ribbon: 1/8" wide purple ribbon, plus 3 colors of ¼” grosgrain ribbon: bright green, lavender and soft blue. A Walk in My Garden cartridge. Bright and colorful, how could you not be happy with memories that live here? What you'll need:Cricut Expression® or Create®, Cricut® Walk In My Garden cartridge, Cuttlebug with Divine Swirls embossing folder, dark brown and light brown chalk ink, 3D pop dots, white gel pen, brown marker, Diamond or other clear Stickles, plus basic tools and adhesive (including Dry Bond or glue pen for fine cuts). Animal Kingdom and Mickey Font (or any font) cartridges. 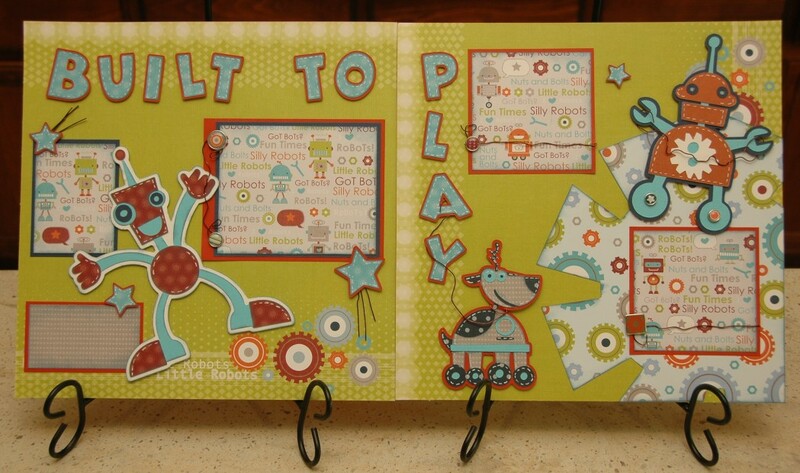 This 6x12 wordbook takes the fun to new heights - about as tall as a giraffe to be exact! Just right for a favorite zoo trip, or if you've been to DisneyWorld's Animal Kingdom - or even for a kid's birthday party. 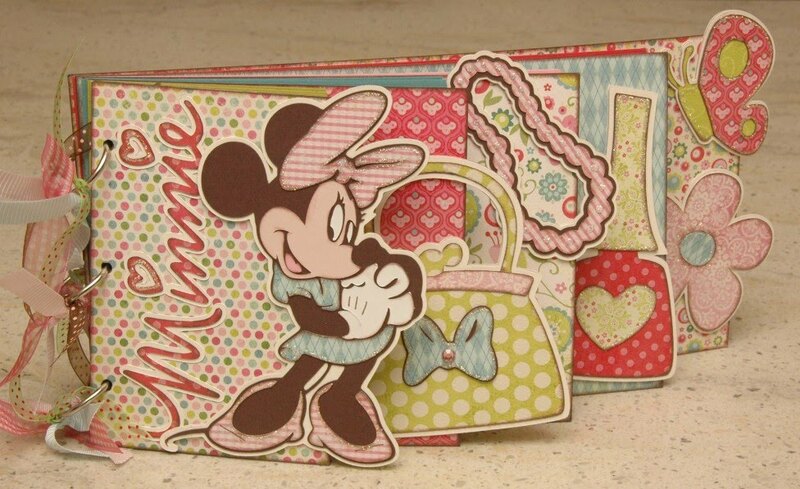 What you'll need: Cricut Expression®, Animal Kingdom cart, Mickey Font or any font cart, dark brown chalk ink, blue chalk ink, 3D pop dots, white gel pen, black or brown pen, chipboard, Crop-a-Dile for punching holes, 1” binder rings, plus basic tools and adhesive. Easter Mini cartridge. 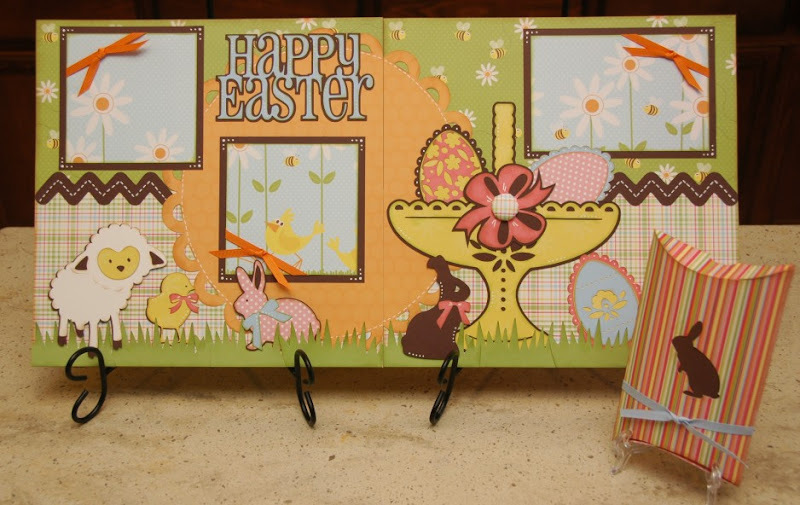 Everything is fresh and new at Easter, including this cheerful layout. Plus, you'll learn how to use the Center Point function on your Expression to cut photos into perfectly fitting egg shapes. What you'll need: Cricut Expression®, Easter mini cartridge, light green and light brown chalk ink, 3D pop dots, white gel pen, I-top and medium sized I-top brad, Crop-a-dile or hole punch for brad, ruler and scoring tool for the Candy Box, plus basic tools and adhesive. Sweethearts cartridge. One of my very favorite projects. And it works perfectly for pics of any sweetheart, whether it's your honey or your kiddos, or even your furry kids! 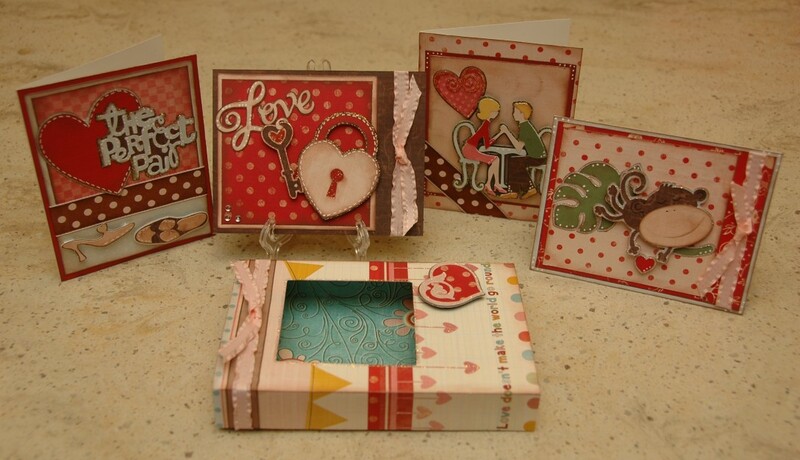 What you'll need: Cricut Expression®, Cricut® Sweethearts cartridge, charcoal or black chalk ink, 3D pop dots, white gel pen, gray or black marker, red marker, mini glue dots, Crop-a-dile or hole punch, plus basic tools and adhesive. A Child's Year cartridge. Snips and snails and puppy dog tails. Classic, old-fashioned layout for the sweetest little boy you know. What you'll need:Cricut Expression® or Create®, A Child’s Year cartridge, dark brown chalk ink, 3D pop dots, silver or white gel pen, silver brads, tiny hole punch for brads, plus basic tools and adhesive. April Showers cart. Rich, colorful layout with so many textures! You'll even learn how to quill some little 3D flowers. 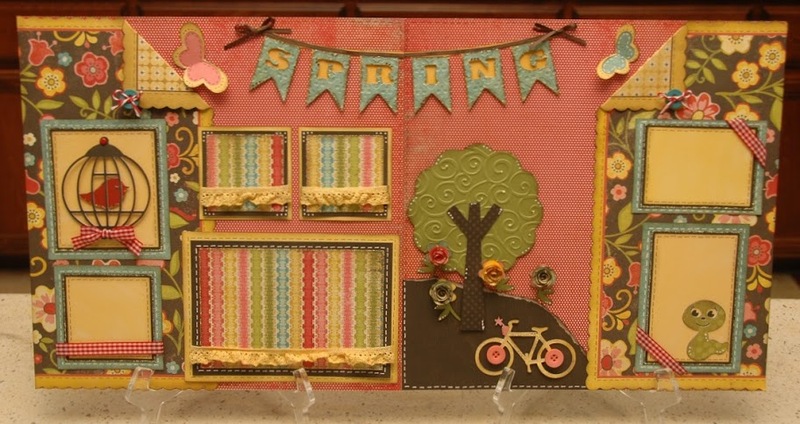 What you'll need: Cricut Expression®, April Showers cart, Cuttlebug, Devine Swirl & Moroccan embossing folders (optional), dark brown chalk ink, 3D pop dots, white gel pen, brown pen, Diamond Stickles, mini glue dots, plus basic tools and adhesive, quilling tool (optional). TinkerBell and Friends cartridge. An advanced project, there is plenty of detail and sparkle to delight the biggest Tink fan. What you'll need: Cricut Expression®, TinkerBell & Friends cart, George cart or any cart with a tag shape, dark brown chalk ink, 3D pop dots, white gel pen, black pen, rhinestones, Diamond Stickles, plus basic tools and adhesive. Oh, and plenty of patience. Tags, Bags, Boxes and More cart - plus Mother's Day and Home Accents carts. This is a slightly advanced level project, and you'll learn some really interesting tricks with that Expression of yours! What you'll need: Cricut Expression®, 12x24 Mat, Tags, Bags, Boxes & More cartridge, Mother’s Day mini cartridge, Home Accents cartridge, black (or dark brown) chalk ink, 3D pop dots, mini glue dots, 12”ruler, scoring bone, black fine tip marker, Diamond or other clear Stickles, plus basic tools and adhesive (including Dry Bond or glue pen for fine cuts). Nate's ABC's cartridge. 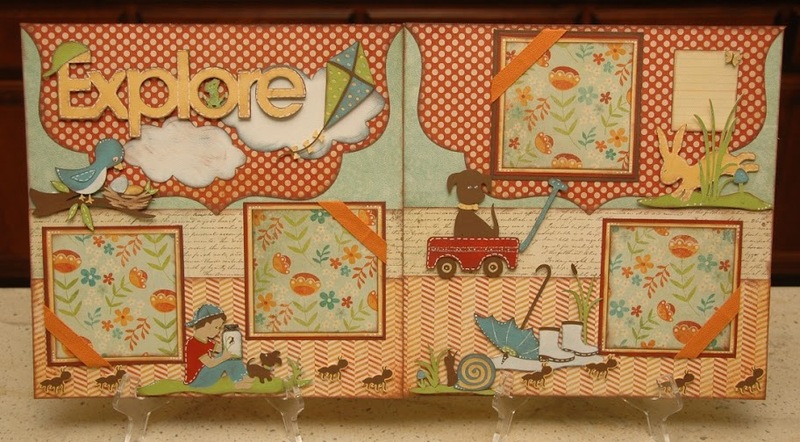 Classic, timeless layout for your little adventurer. What you'll need: Cricut Expression®, Nate's ABCs cart, dark brown chalk ink, Aegean Blue chalk ink, 3D pop dots, white gel pen, brown pen, blue pen, Baby Blue Stickles, plus basic tools and adhesive. Storybook cartridge. 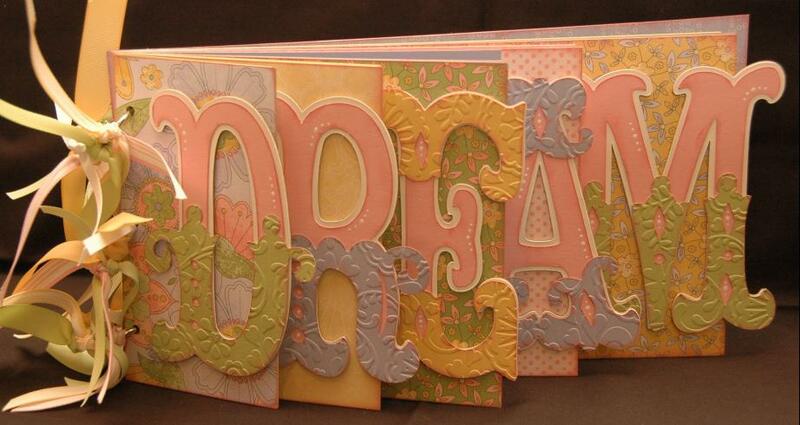 You do NOT need Design Studio to learn how to make this magical wordbook. And the inside pages are just as dreamy as the front of the book! What you'll need: Cricut Expression®, Storybook cart, chipboard, Crop-A-Dile or hole punch, 1-inch binder rings, pink chalk ink, 3D pop dots, white gel pen, plus basic tools and adhesive. 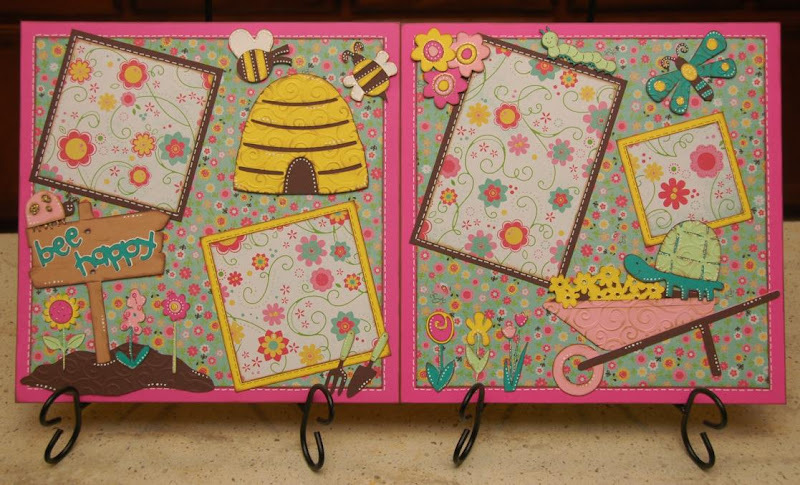 Optional: Cuttlebug and embossing folders. Home Decor and Forever Young carts. 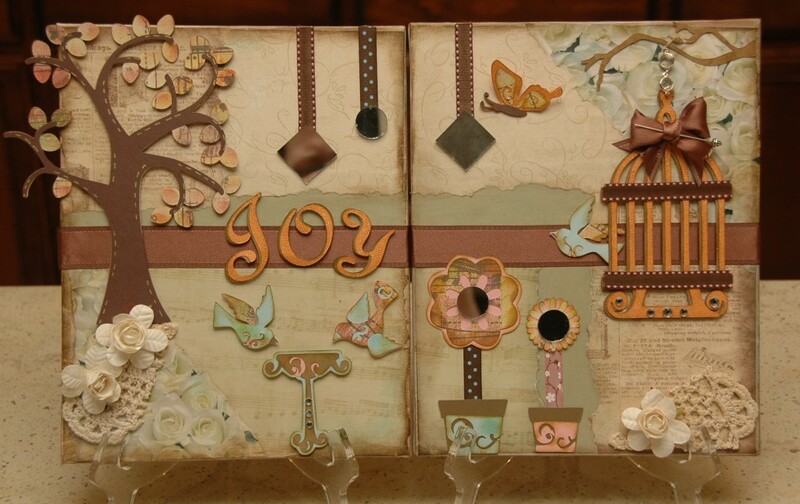 This vintage style layout is inspired by the work of Tim Holtz. What you'll need: Cricut Expression®, Home Décor Solution Cartridge, Forever Young Cartridge, brown and purple chalk ink (I personally used Walnut Stain for brown and Dusty Concord for purple, and these colors are by Ranger-Tim Holtz), 3D pop dots, piercing tool or needle, Glossy Accents or other clear liquid adhesive, Mallet or item to close the photo corners, mini glue dots, plus basic tools and adhesive. 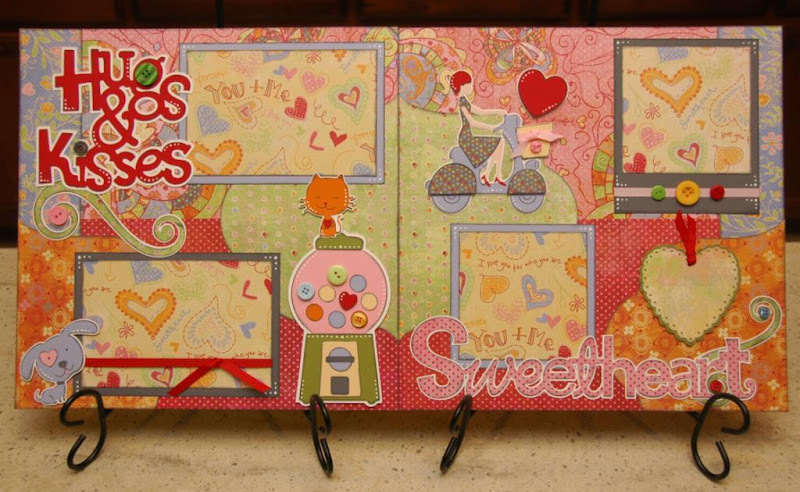 Optional: Cuttlebug and embossing folders of your choice. 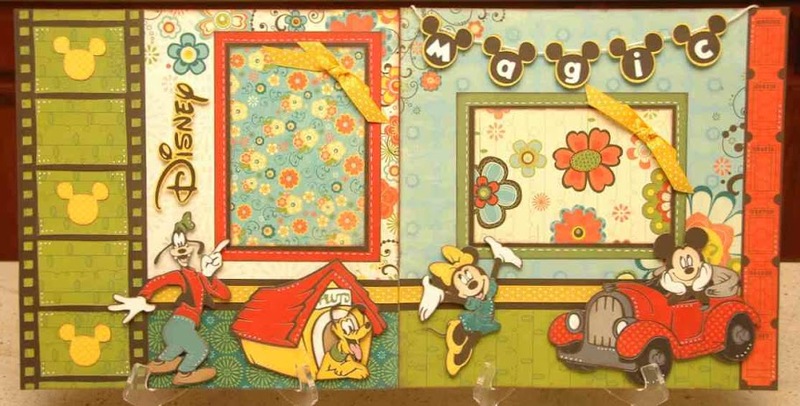 Mickey & Friends and Mickey Font carts. What's more fun than Disney? 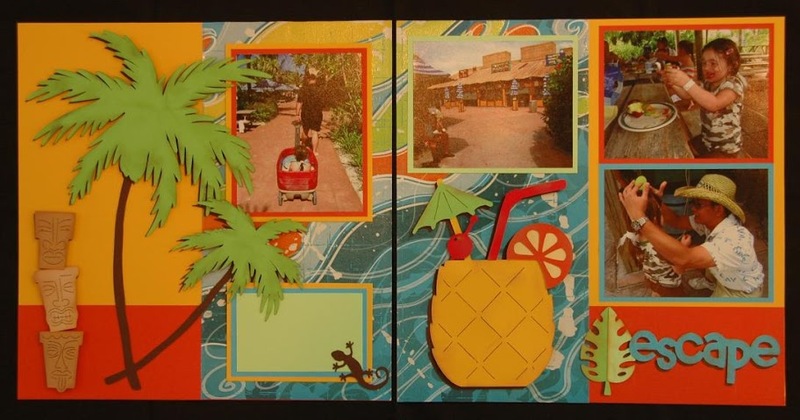 Your favorite vacation pics or even themed party pics will be just right for this project. What you'll need: Cricut Expression®, Mickey & Friends cart, Mickey Font cart, 3D pop dots, white gel pen, plus basic tools and adhesive. Indie Art solutions cartridge. Take a walk on the wild side. 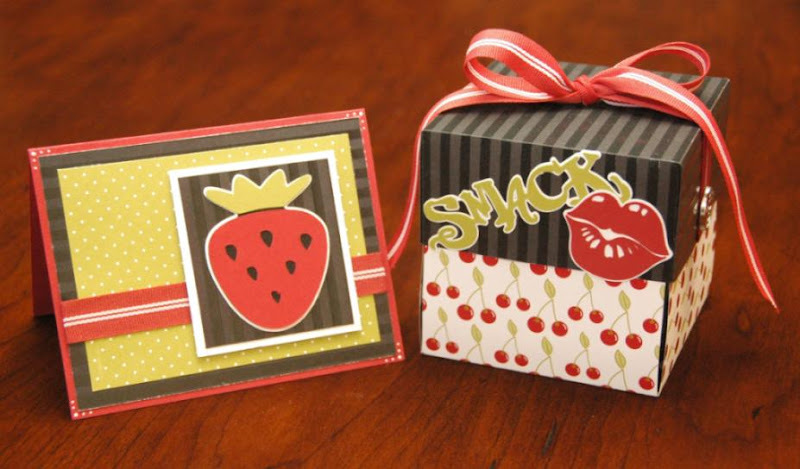 Learn to make this simple Explosion box perfect for that special birthday. There are multiple layers inside and even a pocket for a gift card. Once you learn, the possibilities are endless! What you'll need: Cricut Expression® or Create or original “Baby Bug”, Indie Art solutions cart, 3D pop dots, white gel pen, black pen, ruler, sentiment stamp & black ink, plus basic tools and adhesive. Sweet Treats cartridge. 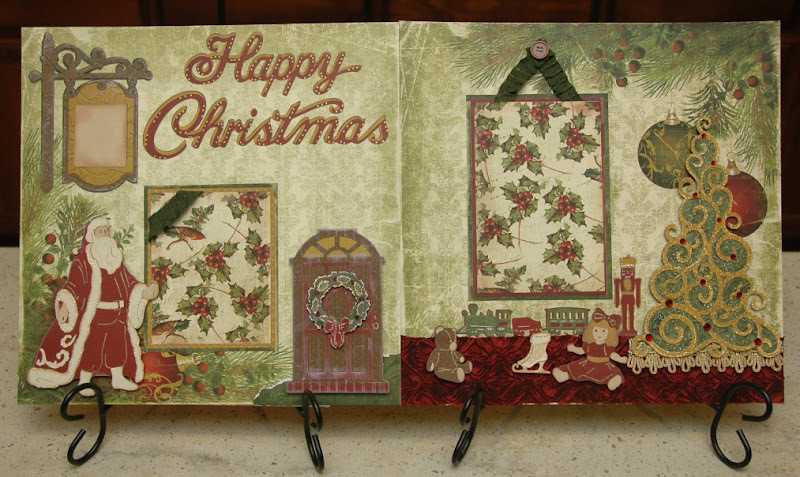 A festive and versatile layout - it's a party on paper! What you'll need: Cricut Expression®, Sweet Treats cart, dark brown chalk ink, 3D pop dots, white gel pen, brown pen, stapler, mini glue dots, plus basic tools and adhesive. Life's a Beach cartridge. Play with some of the cutest cuts on this fabulous cartridge. Plus you'll learn how to make layers when there are no layers available on the cart. Hmmmm. 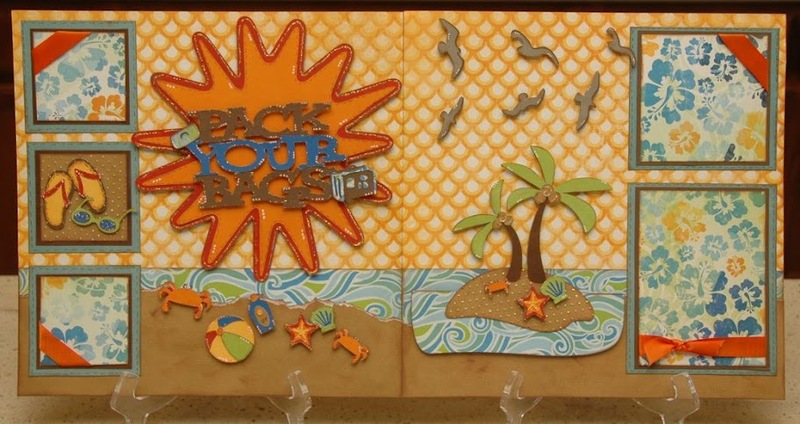 What you'll need: Cricut Expression® or Create or original “Baby Bug”, Life’s a Beach cart, 3D pop dots, white gel pen, black pen, plus basic tools and adhesive. 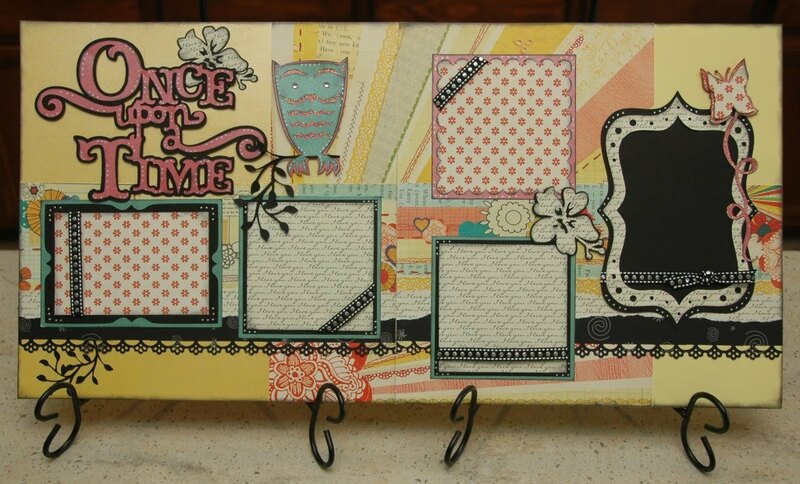 Optional: Cuttlebug and embossing folders (I used Swiss Dots, Divine Swirls plus Spots and Dots). Graphically Speaking cartridge and Cricut Marker. 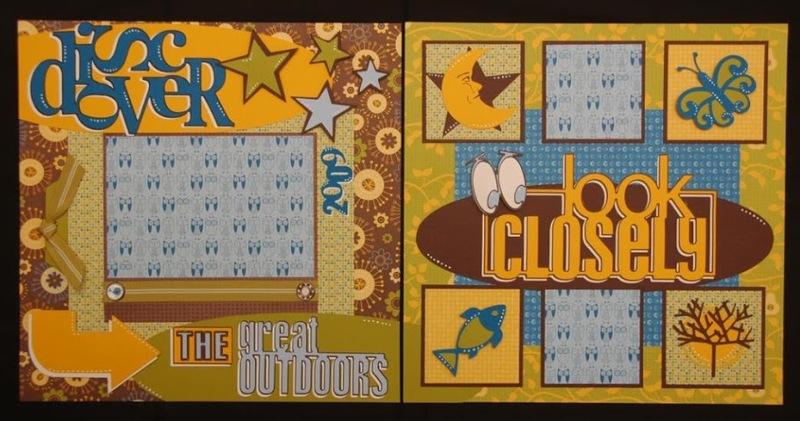 Learn to use those Cricut markers and while you're at it, enjoy making this sunny, outdoor layout. What you'll need: Cricut Expression® or original “Baby Bug”, Graphically Speaking cart, black or brown Cricut Marker, white gel pen, 3D pop dots, hole punch for brads, plus basic tools and adhesive. Life's a Beach cart. This tropical dream is just waiting for your beachy memories. 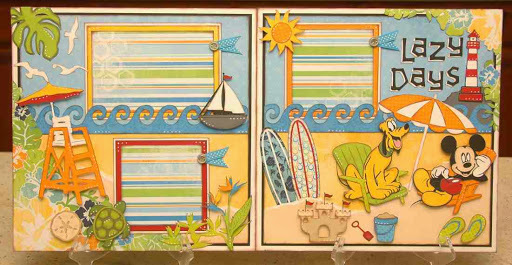 What you'll need: Cricut Expression®, Life’s a Beach cart, brown chalk ink, brown pen, 3D pop dots, plus basic tools and adhesive. Storybook cartridge. A nice, simple project if you're still learning to use your bug - or if you just like the clean and sassy design. It works great for pics of your little girl at any age. What you'll need: Cricut Expression®, Storybook cart, 3D pop dots, white gel pen, black pen, buttons, mini glue dots, plus basic tools and adhesive. 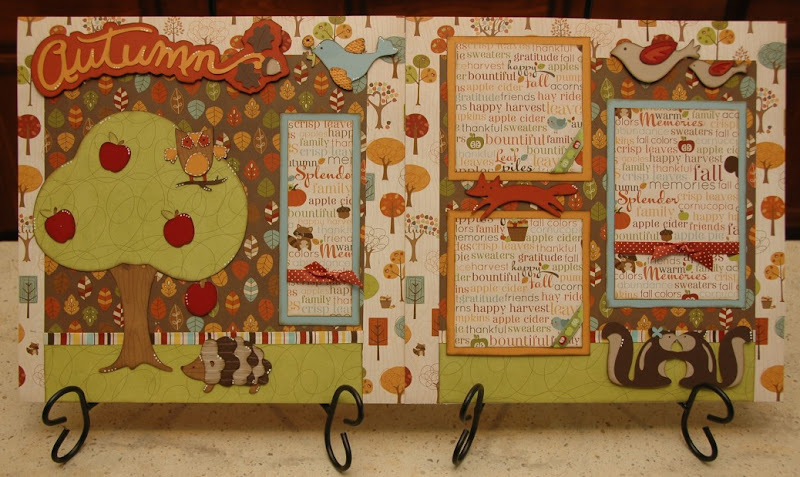 Optional: Cuttlebug and embossing folder (I used “Birds and Scrolls” folder). Birthday Bash cartridge. 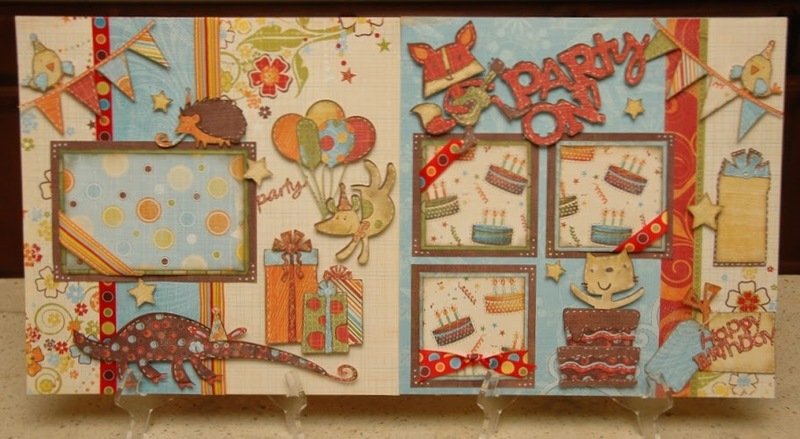 This is playfully detailed layout is perfect for those happy pictures of either the birthday boy or girl. 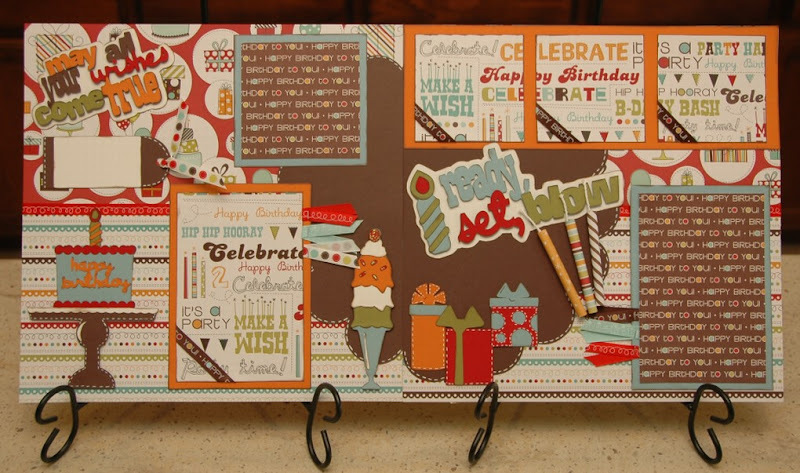 What you'll need: Cricut Expression®, Birthday Bash, dark brown chalk ink, 3D pop dots, white gel pen, brown pen, Diamond Stickles, mini glue dots, glue pen plus basic tools and adhesive. Give a Hoot and Stretch Your Imagination carts. 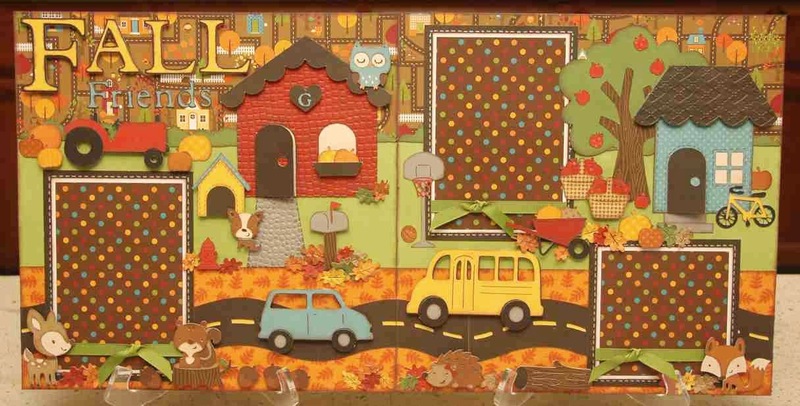 Celebrate Autumn memories with the cutest critters around. 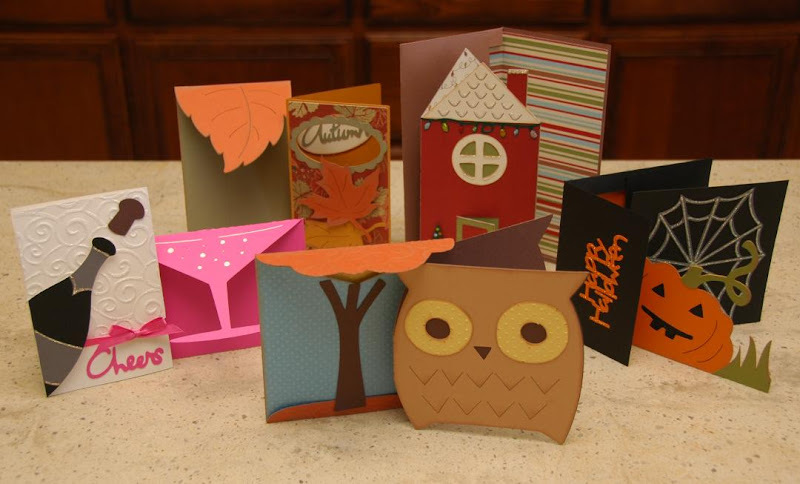 What you'll need:Cricut Expression®, Give a Hoot & Stretch Your Imagination carts, dark brown chalk ink, 3D pop dots, white gel pen, brown pen, plus basic tools and adhesive (including Dry Bond or glue pen for fine cuts). Accent Essentials and Graphically Speaking carts. A cheerful and versatile layout, this can be a good project to start with if you're still learning to use your bug. What you'll need:Cricut Expression®, Accent Essentials cart, Graphically Speaking cart, light brown and dark brown chalk ink, 3D pop dots, white gel pen, mini glue dots, stapler, plus basic tools and adhesive (including Dry Bond or glue pen for fine cuts). 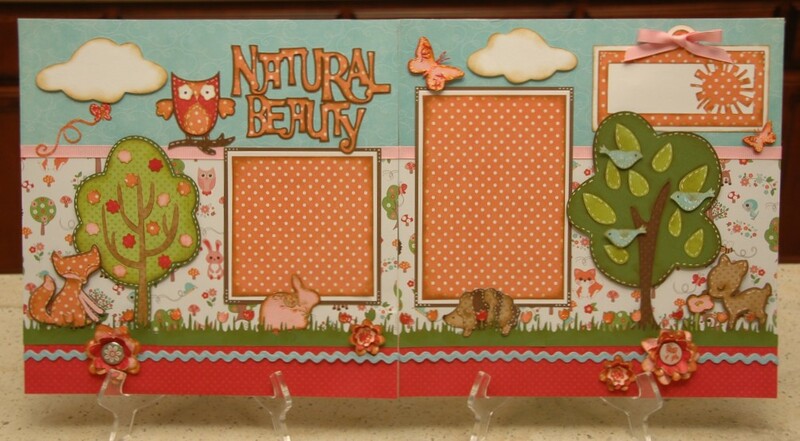 Optional: Cuttlebug and Swiss Dots embossing folder. Accent Essentials and Plantin Schoolbook carts. This layout is actually a bit more tricky than it appears, but there's plenty of help to assist you in creating those detailed, layered accents. 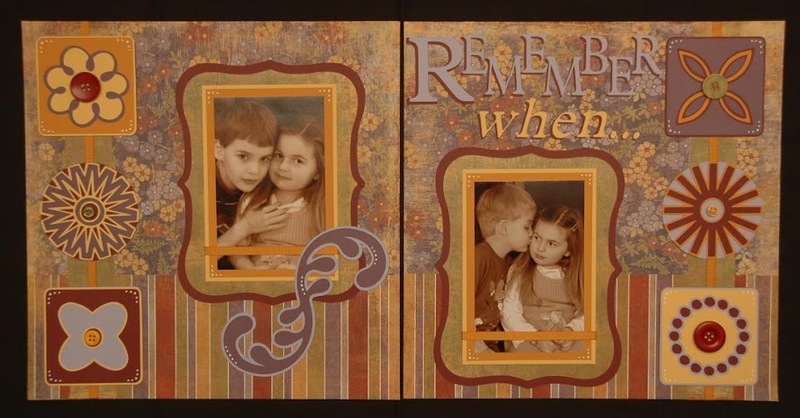 This is a great layout for heritage or sepia toned photos. 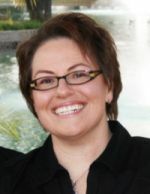 What you'll need: Cricut Expression®, Accent Essentials cart, Plantin Schoolbook cart, glue dots, 3D pop dots, white gel pen, buttons, dark yellow or burgundy ribbon, plus basic tools and adhesive. George and Paper Doll Dress Up carts. This is a very simple project for the newbies. 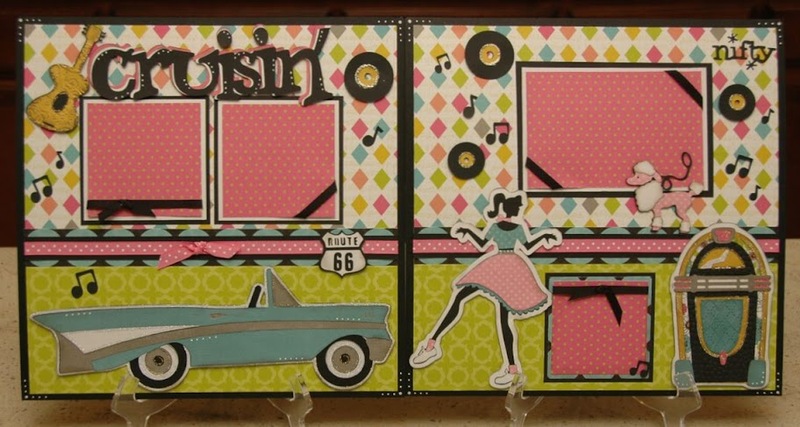 What you'll need: Cricut Expression® or Create or the Original “Baby Bug”, George cart, Paper Doll Dress Up cart, 3D pop dots, white gel pen, black pen, plus basic tools and adhesive. 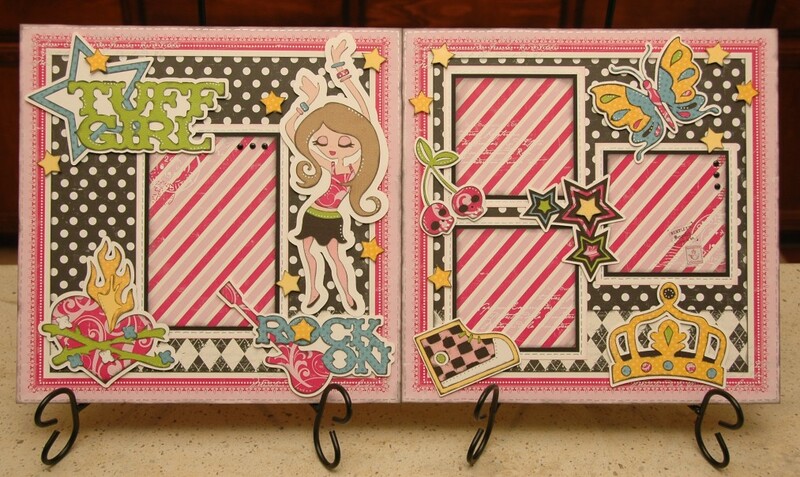 Paper Doll Dress Up and Hello Kitty Font (or any font) carts. Those adorable neighborhood spooksters are ready for a night of mischief! What you'll need: Cricut Expression, Paper Doll Dress Up cart, Hello Kitty Font cart (or any font cart), white gel pen, brown or black pen, brown chalk ink, 3D pop-dots, plus basic tools and adhesive. Tags, Bags, Boxes and More cart - plus Stretch Your Imagination. 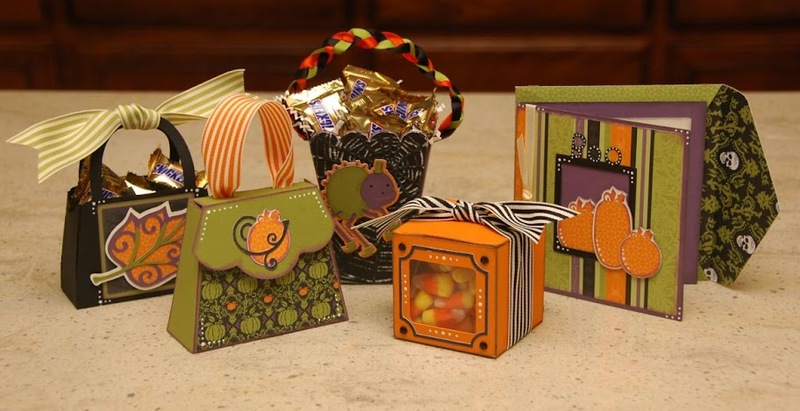 A sweet variety of goodie boxes and cards that you might be too scared to part with. This project was published in Cricut Magazine. What you'll need: Cricut Expression®, Stretch Your Imagination cart, Tags Bags Boxes & More cart, black chalk ink, purple chalk ink, 3D pop dots, white gel pen, Velcro dot, transparency square, light sand paper, black pen, plus basic tools and adhesive. 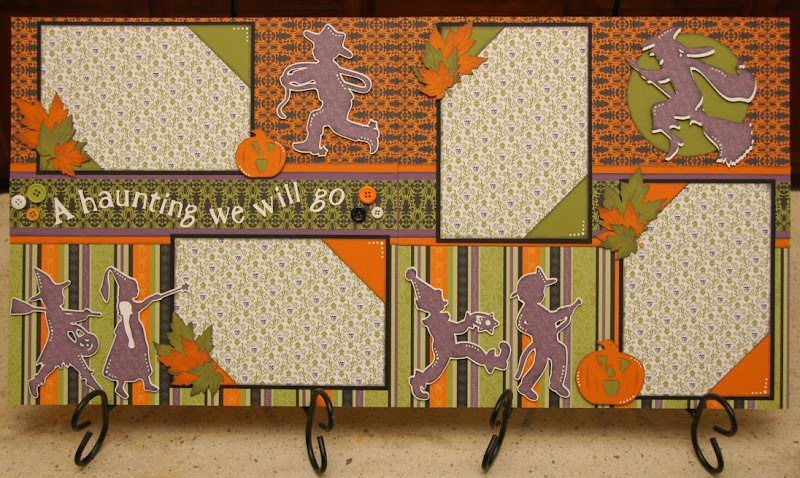 Also Cuttlebug and Spider Web embossing folder. A Child's Year cartridge. This old-fashioned scene with classic costumes is just right for recent pics or those from a generation ago. What you'll need: Cricut Expression, A Child’s Year cart, charcoal or black chalk ink, 3D pop dots, mini glue dots, white gel pen, plus basic tools and adhesive. Wild Card cartridge. This can be a tricky cartridge if you haven't played with it before. 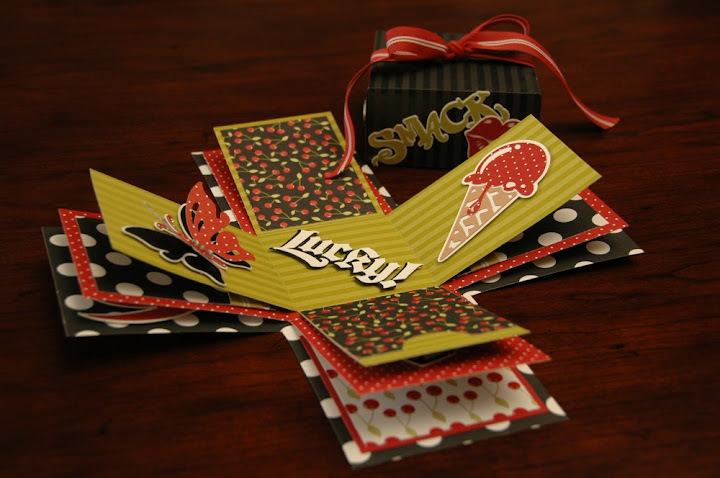 Learn to make it a breeze with some simple tricks, and you'll wind up with 5 adorable cards and envelopes to show for it! What you'll need: Cricut Expression®, Wild Card cartridge, brown chalk ink, 3D pop dots, white gel pen, black pen, brown pen, scoring bone and ruler, Stickles (various colors), plus basic tools and adhesive. 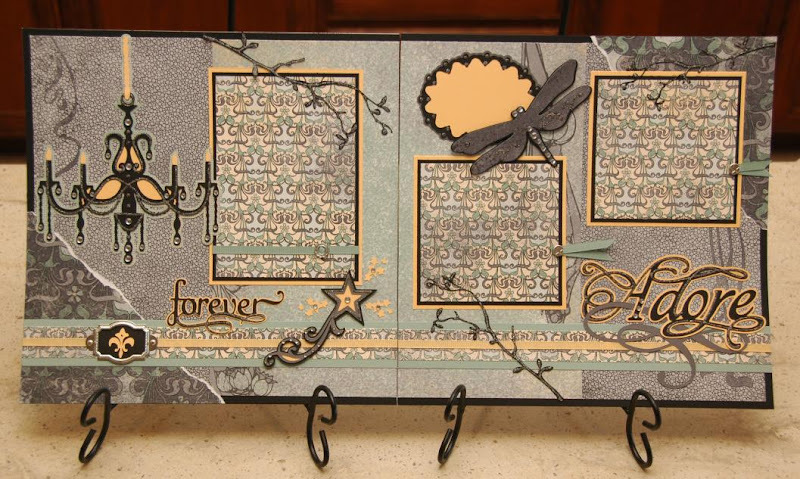 Optional: Cuttlebug and embossing folders (I used Divine Swirls and Swiss Dots). Home Decor cartridge. This elegant piece is perfect for pictures of a night out on the town, Senior Prom, a wedding, or a New Year's Party. Just switch up the colors to coordinate with your event. What you'll need: Cricut Expression®, Home Decor cart, dark brown chalk ink, 3D pop dots, rhinestones, Gunmetal or Diamond Stickles, metal hardware, decorative punch, white gel pen, black pen, plus basic tools and adhesive. Joys of the Season and Ashlynn's Alphabet (or any font) cart. This magical layout might just make you believe in Santa all over again. 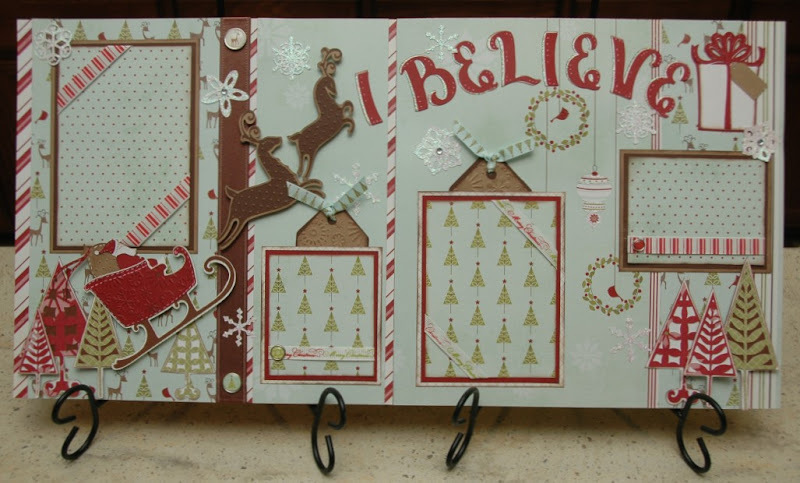 What you'll need: Cricut Expression®, Joys of the Season cart, Ashlynn’s Alphabet (or any font cart), dark brown chalk ink, 3D pop dots, white gel pen, Diamond or Crystal Stickles, basic tools and adhesive. 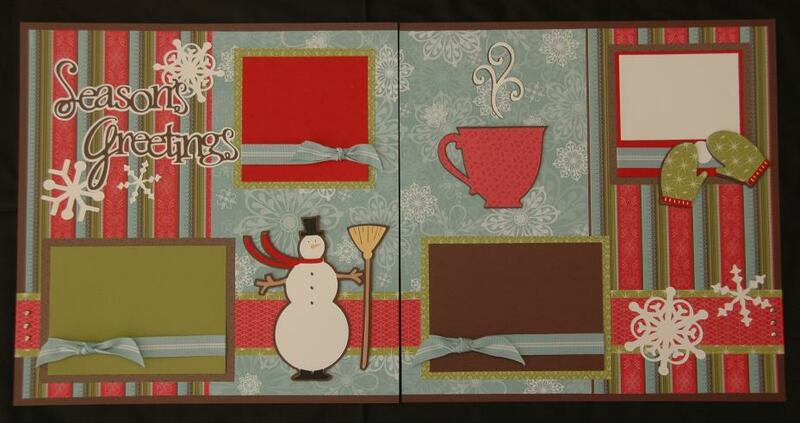 Optional: Cuttlebug with Snowflakes and Swiss Dots folders. Christmas/Noel solutions cartridge. Reminiscent of the Victorian era, Old Saint Nick is ready to visit this happy scene. What you'll need: Cricut Expression®, Christmas Noel solutions cartridge. 3 chalk inks: Jumbo Java, Sahara Sand and Cloud White. 3D pop dots, White and Gold gel pens, brown fine tip pen, Diamond Stickles, Burgundy or Red Stickles, glue dots, plus basic tools and adhesive (including Dry Bond or glue pen for fine cuts). 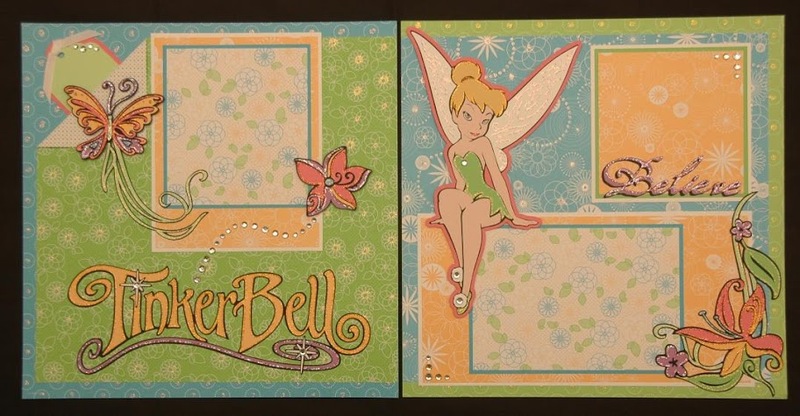 Optional – Cuttlebug and folders for embossing. Winter Woodland cartridge. Ahhh, I want to live in this scene. It's a Winter Wonderland and I cannot imagine a more magical winter. What you'll need: Cricut Expression® or Cricut Create®, Cricut® Winter Woodland cartridge, Diamond Stickles, tan or brown chalk ink, 3D pop dots, white gel pen, brown marker, Crop-a-Dile or hole punch for brads, plus basic tools and adhesive. A Child's Year. A classic, old-fashioned layout using one of my very favorite cartridges. What you'll need: Cricut (any model), A Child’s Year cart, tan or brown chalk ink, 3D pop dots, white gel pen, Crop-a-dile or hole punch for brads, plus basic tools and adhesive. Winter Frolic and Accent Essentials (or any cart with a snowflake). Snow angels, anyone? Perfect for pics of your favorite snow day outing. 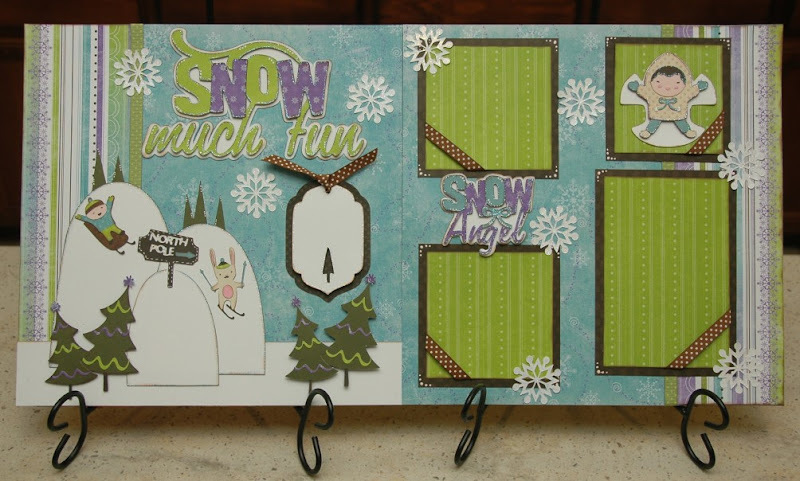 What you'll need: Cricut Expression®, Winter Frolic, Accent Essentials (or any cart with snowflakes), Brown chalk ink, 3D pop dots, white gel pen, Diamond stickles, plus basic tools and adhesive. Joys of the Season cartridge. Time to play in the snow and then snuggle up by the fire with some hot cocoa. The best of winter is just waiting for your favorite pictures here. What you'll need: Cricut Expression®, Joys of the Season cart, 3D pop dots, white gel pen, brown pen, silver brads, ribbon, tiny hole punch, plus basic tools and adhesive. Joys of the Season and Lyrical Letters (or any font) carts. There's nothing like the joy of Christmas morning. Remember it always. 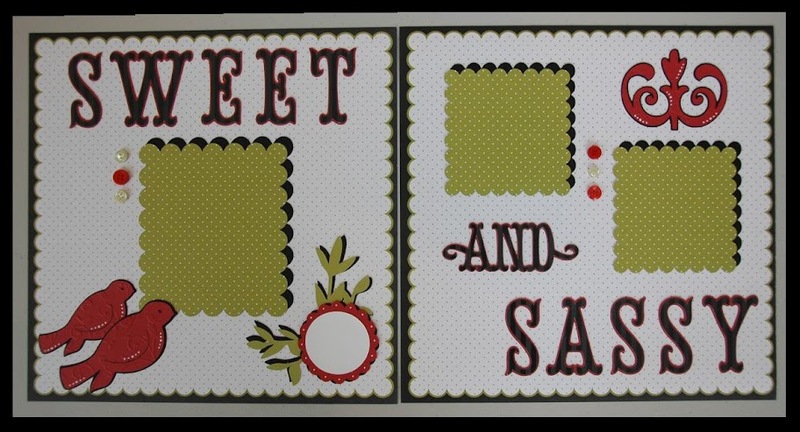 What you'll need: Cricut Expression®, Joys of the Season cartridge, any Font Cartridge such as Lyrical Letters or Plantin Schoolbook, Candy Cane or any red Stickles, black and brown chalk ink, 3D pop dots, white gel pen, brown marker, tiny hole punch, plus basic tools and adhesive. Winter Woodland cartridge. Learn the secrets to making an adorable 3D House and winter scene. You'll enjoy this decorative piece for years to come. 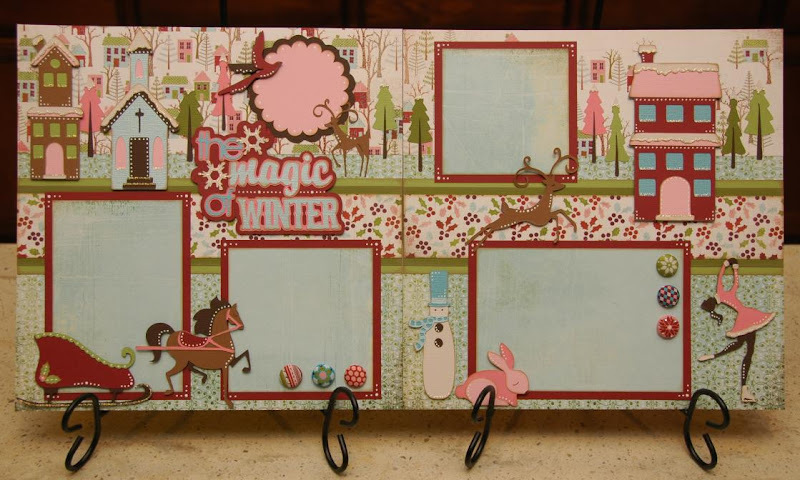 What you'll need: Cricut Expression®, Cricut® Winter Woodland cartridge, 12x24 mat, long ruler and scoring bone, Diamond Stickles, tan or brown chalk ink, 3D pop dots, white gel pen, brown marker, plus basic tools and adhesive. 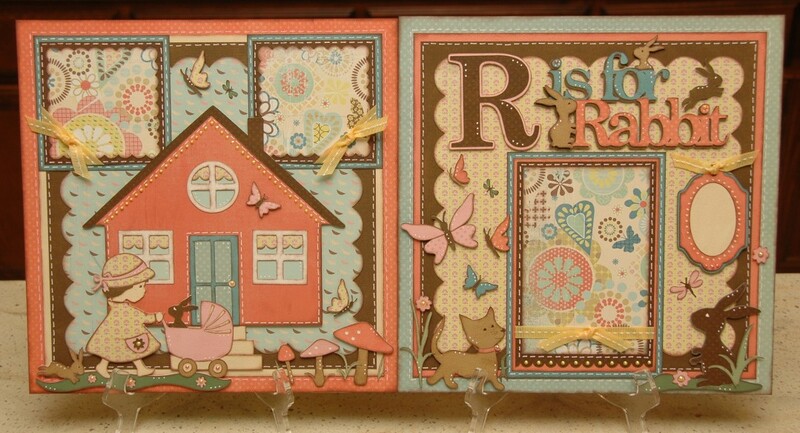 Optional: Cuttlebug and Tiny Mosaics embossing folder. A Child's Year cartridge. 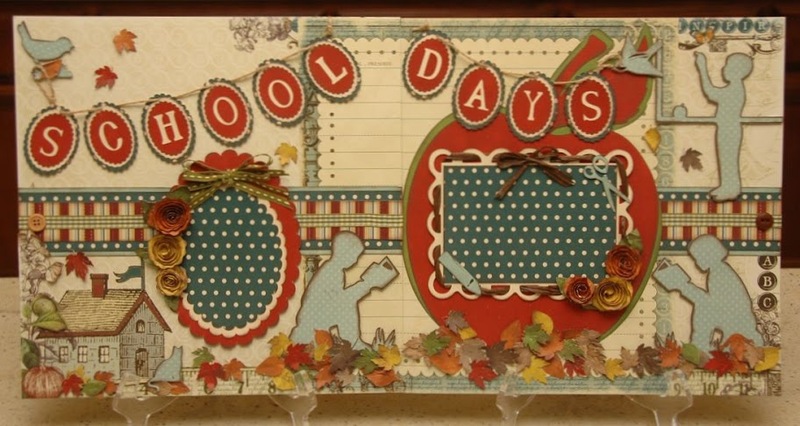 Vibrant fall colors and nostalgic images of simple days will capture your child's back to school experience. 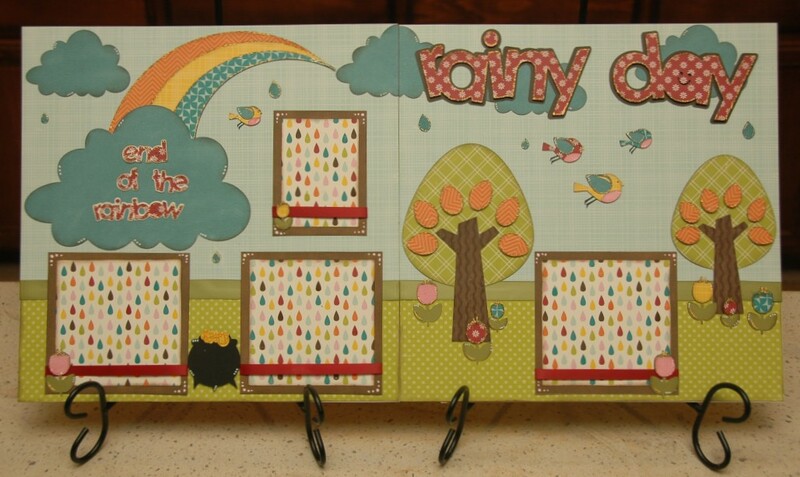 Great layout to frame for girl or boy. Mickey & Friends and Mickey Font cartridges. 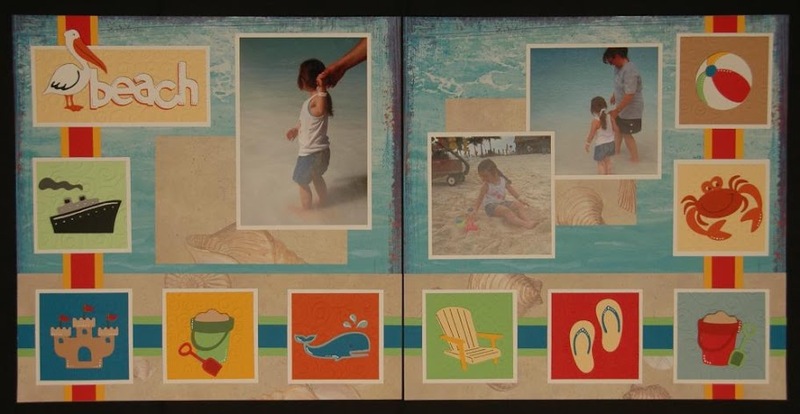 Chipboard book with several inner pages. Perfect for your Disney memories. Everyday Paper Dolls cartridge. The ultimate summer fun layout. Nifty Fifties cartridge. Rock 'n' Roll with this retro layout. Perfect for old pics from the 50's, or even modern sock hop or night out at the diner pics. Country Life cartridge. Ahhh, the simple life. 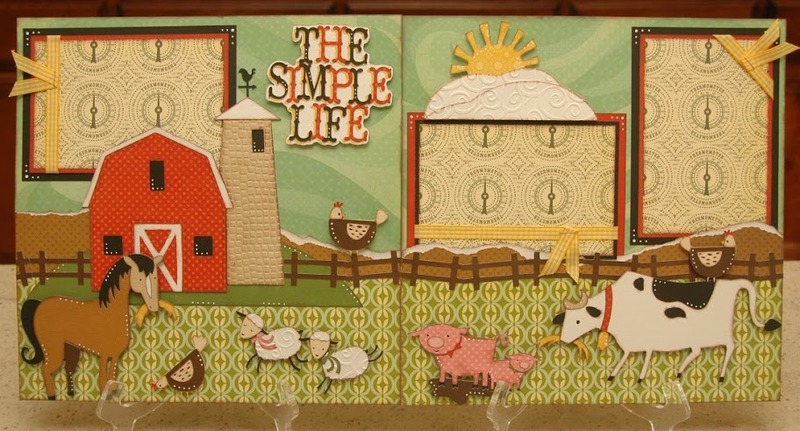 Capture the home-grown essence of life on the farm with this new layout. Forever Young, Paisley, and Ashlyn's Alphabet (or any font) cartridges. 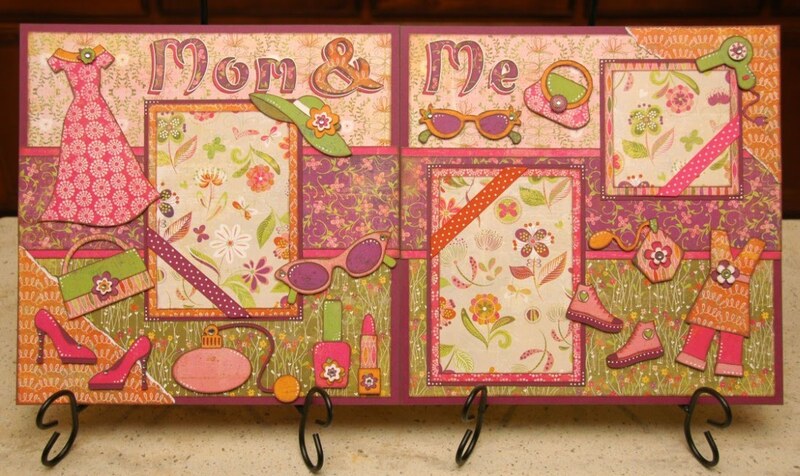 Mother-daughter time comes to life with this girlie layout. Old West cartridge. 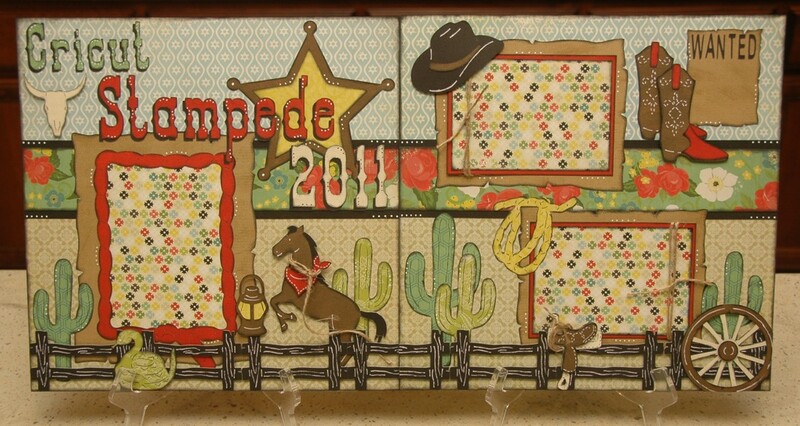 Originally designed for the Cricut Stampede in Texas. You can simply change the title to make it work for any western theme or occasion. Sweethearts cartridge. Gift box with four cards and envelopes. These are great for any celebration of love. NOTE: To make the box, you will need Design Studio, Tags, Bags, Boxes cart, and 12x24 mat. Robotz cartridge. 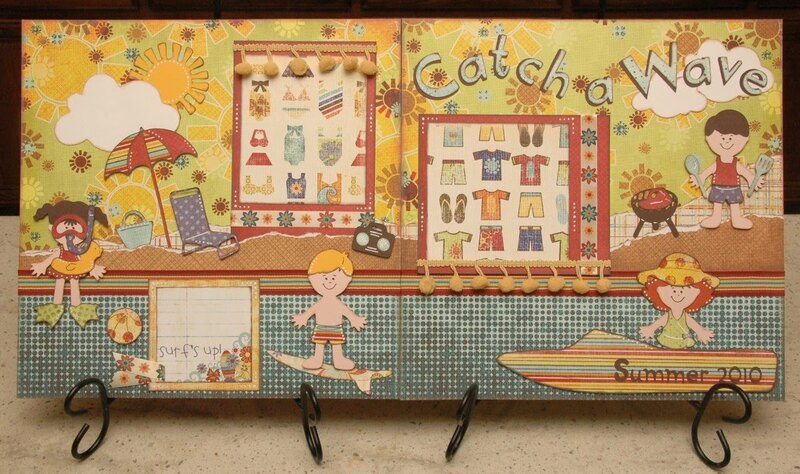 Gear up for some fun with this playful layout. A Child's Year cartridge. 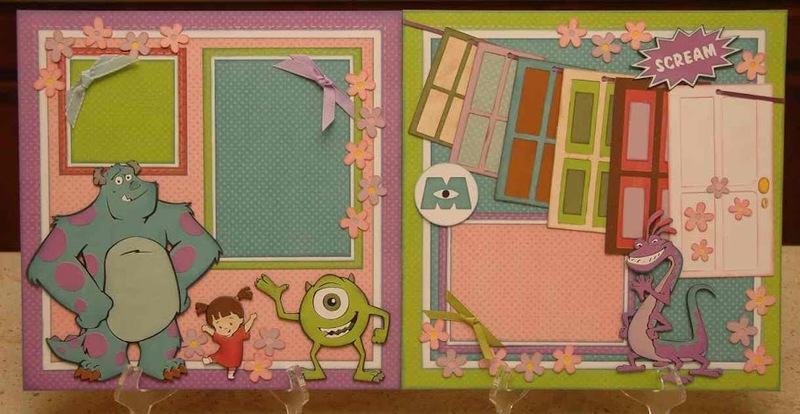 You'll love how this pastel layout frames your spring time memories. Pack Your Bags Cartridge. The perfect day - toes in the sand, gentle waves, and a warm tropical breeze. 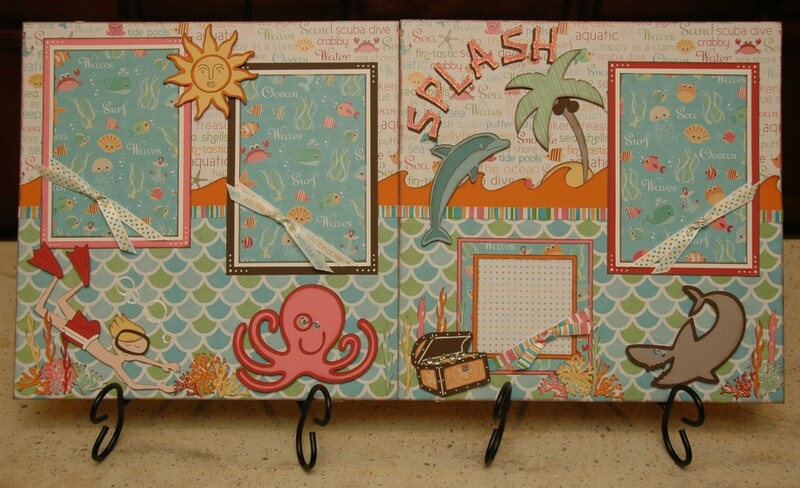 This layout is just right for your favorite beach vacation. Pass the suntan lotion! Create-a-Critter cartridge. 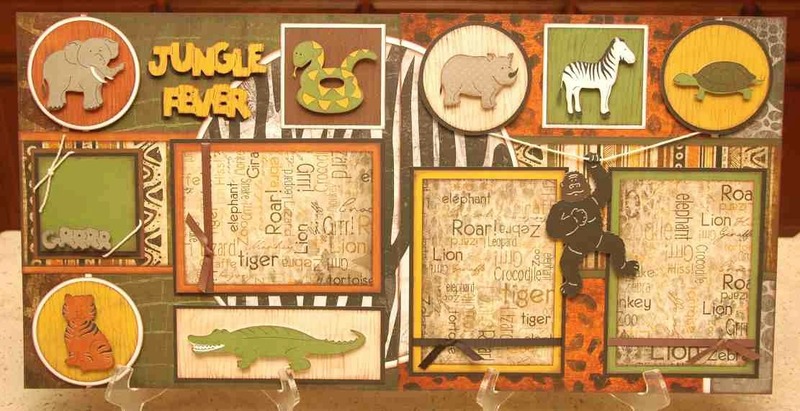 Bright and sunny layout just right for a day at the zoo, a wild birthday party, or just your little ones monkeying around at their favorite park. Once Upon a Princess cartridge. 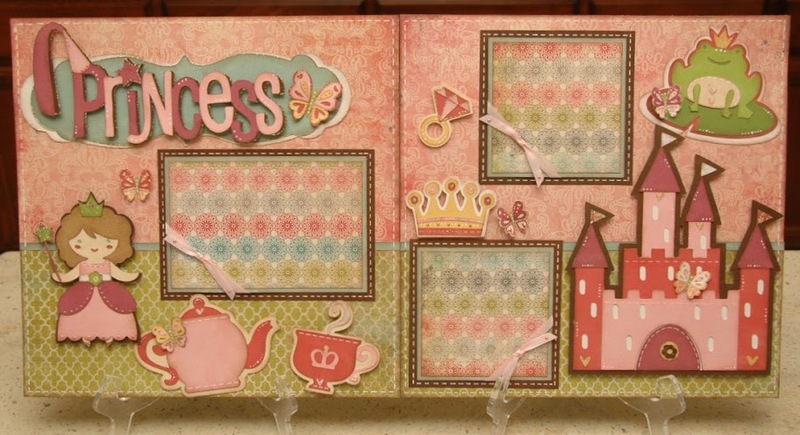 This magical layout is a dream come true for your favorite pictures of your little princess. Mickey & Friends and Mickey Font cartridges. 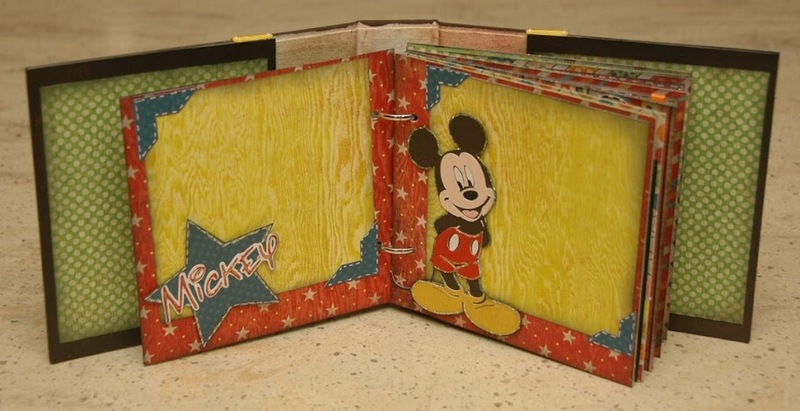 Colorful and detailed chipboard album to showcase your photos and pictures with your favorite Disney characters. Serenade & any font cart. 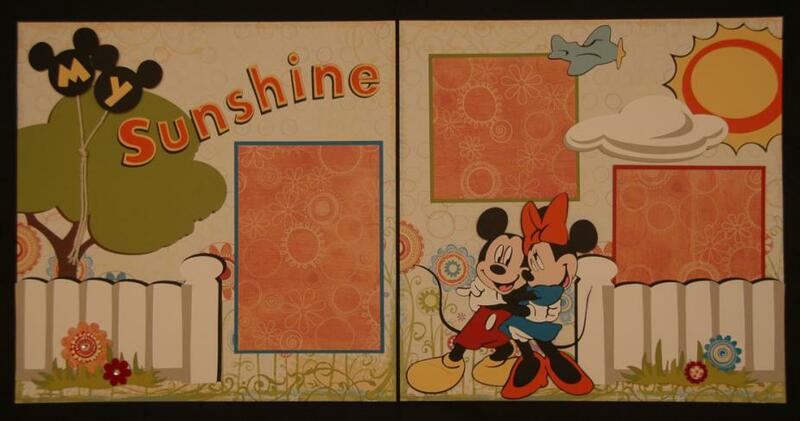 8x10 canvas art will bring joy into any setting. Wild Cards cartridge. 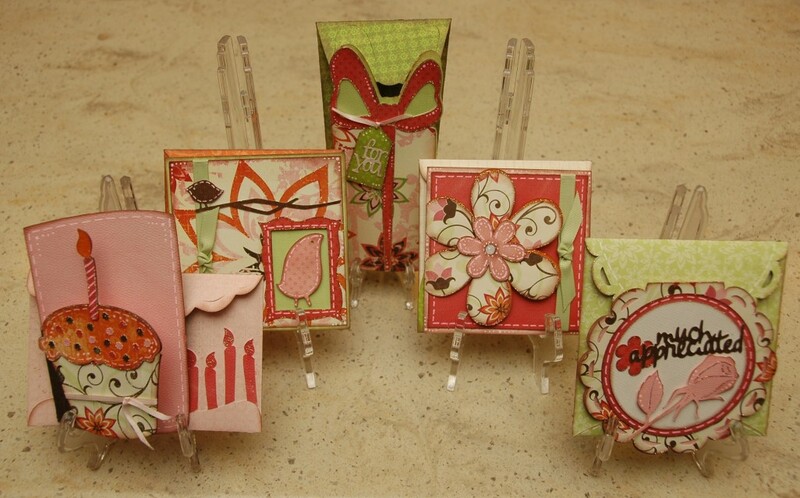 Five cards with coordinating envelopes for various occasions. Kate's ABCs cartridge. 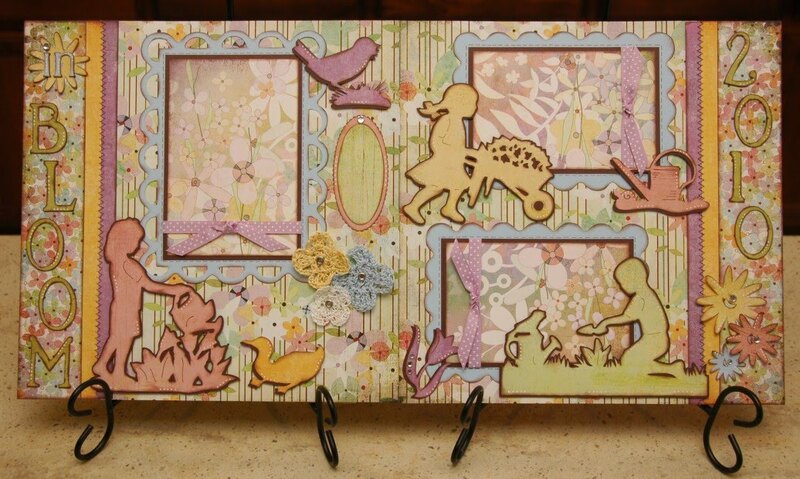 This charming, storybook-style layout would be great for spring or Easter pictures of your sweeties. Toy Story cartridge. 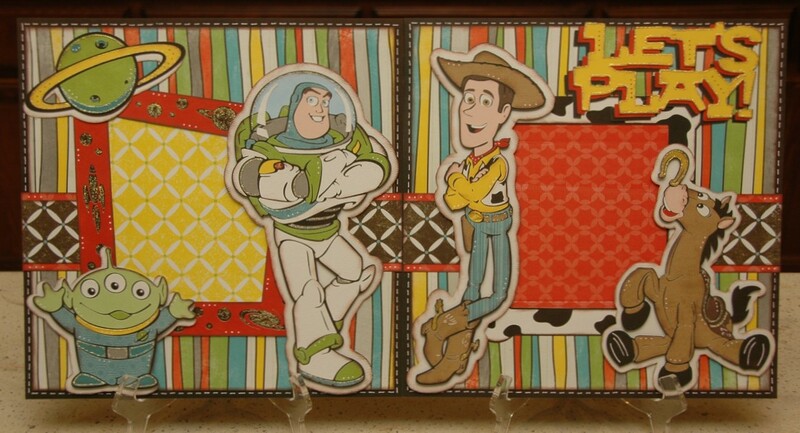 You've got a friend in Woody and Buzz! Just Because Cards cartridge. Makes 6 cards and envelopes for multiple occasions. Wall Decor & More cartridge. Works great with heritage or sepia tone pictures. Give a Hoot cartridge. Bright and cheerful layout, perfect for outdoor pictures. Rock Princess cartridge. Designed as a fundraiser for Susan G. Komen Foundation. One of our best sellers. Simply Charmed cartridge. This layout would be so fantastic for pictures of your little one in their rain gear, stomping in puddles, or even playing in the garden. Storybook cartridge. 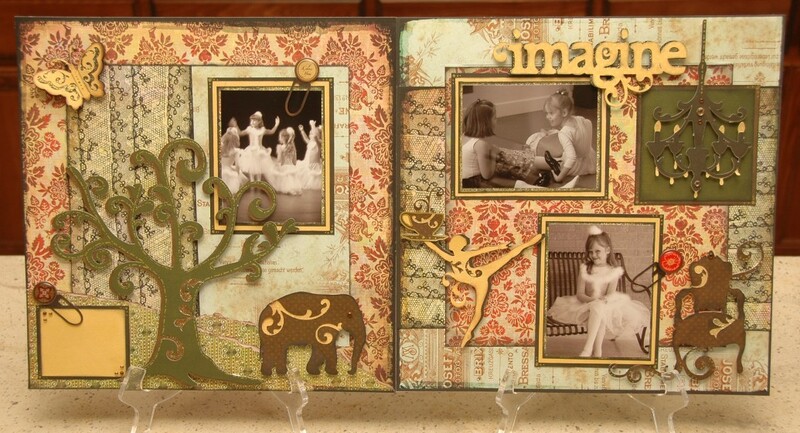 Let your pictures tell a story with this whimsical layout. Mini Monsters cartridge. Creepy-cute layout for your favorite little monsters. Paisley Cartridge. Take a walk on the wild side. Life is a Beach cartridge. Perfect for beach or pool pictures. Sweet Treats cartridge. 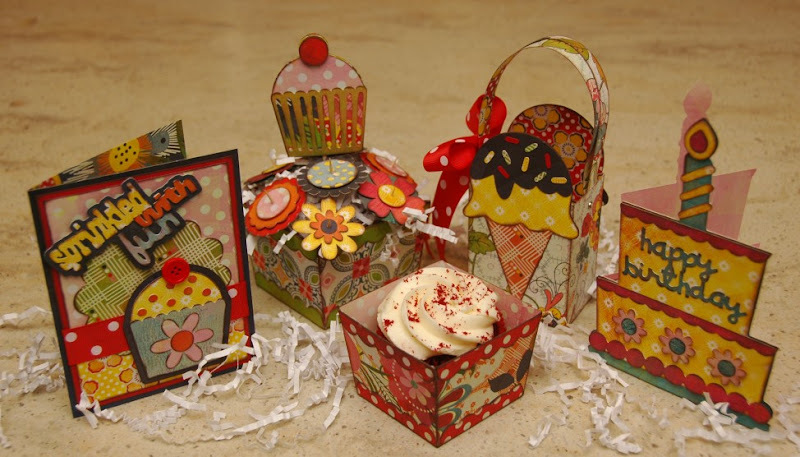 An adorable goodie box, cupcake holder, invitation, centerpiece and birthday card just right for the sweetest girl you know.